This may have been my favorite daycare theme day to date. Partly because my house smelled like cocoa all day long, but mostly because I got to end my day eating chocolate covered strawberries. Yum! 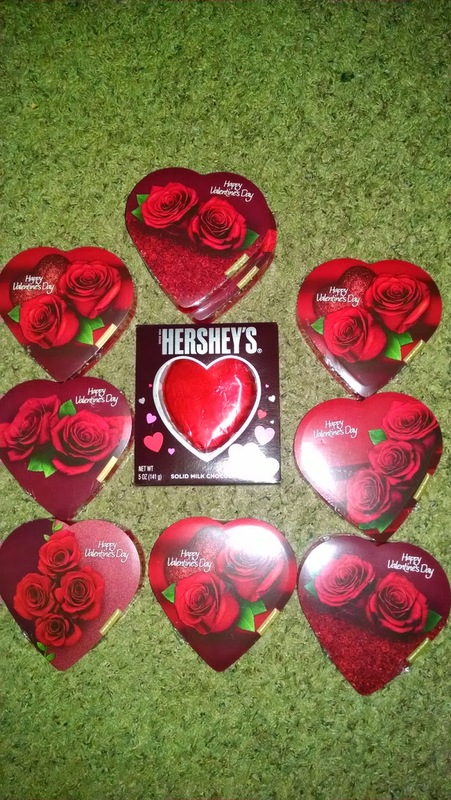 Chocolate Day was the perfect theme day to have as we began our Valentine Day crafts and activities. 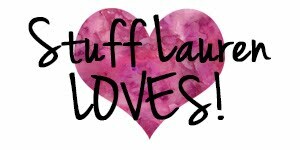 I took many of our chocolate sensory activities from last year (http://ashlen-kidspert.blogspot.com/2014/01/chocolate-y-sensory-play.html) and created a yummy activity filled day. The kids painted hearts with chocolate paint. This time I used flour, water, and cocoa. Snack: plain yogurt with cocoa and topped with chocolate chips. The kids had a blast with the chocolate pasta! Most of it was eaten (I can't imagine it was good, but they seemed to love it) and the other part of it seemed to be ground into my carpet. Next time we'll move the noodle play back into the kitchen! Chocolate play dough.This round of play dough I used our favorite salt dough recipe (1 cup of flour, 1 cup of salt, and up to 1 cup of water) and added cocoa to it. It was perfect because at the end of the week we made chocolate salt dough heart shapes (much like our salt dough ornaments at Christmas: http://ashlen-kidspert.blogspot.com/2014/12/week-in-review-december-8-december-12.html). Everyone's favorite part of the day: making and decorating chocolate covered strawberries. We had white chocolate and semi-sweet chocolate to dip the strawberries in and a variety of sprinkles. 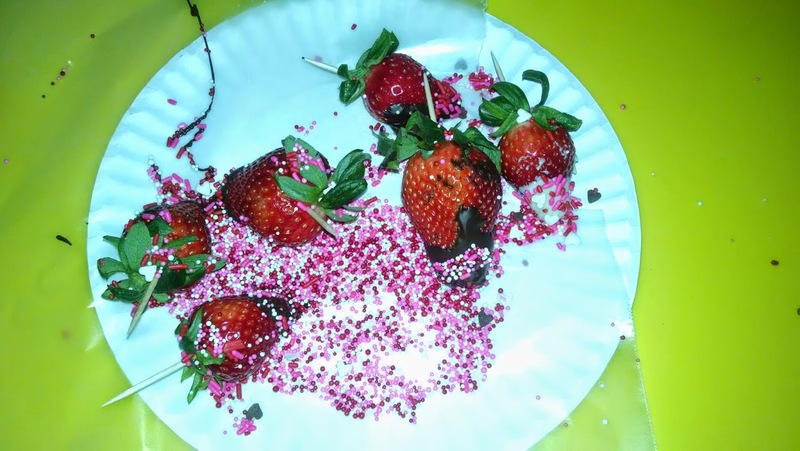 I wound up taking over dipping the strawberries and the kids used A LOT of sprinkles to decorate. The kids got to take a plate of them home to share with their families. Each child got to take home a small box of chocolates at the end of the day. I failed to get pictures of the chocolate slime the kids played with, but that was their least favorite activity of the day. The kids requested that next we have a chocolate fountain for Chocolate Day....I can't say I'd be against that!